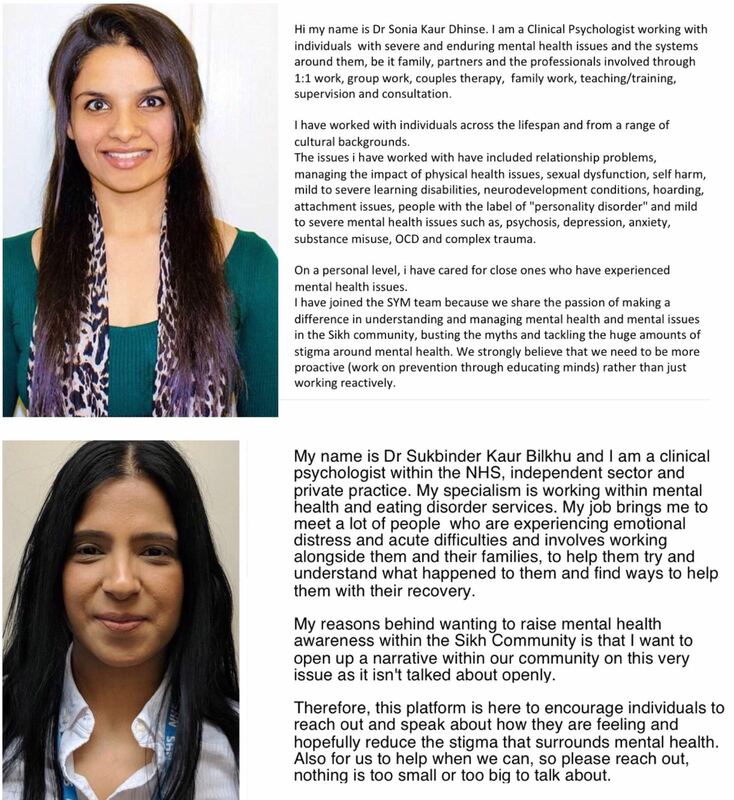 Our team includes a number of Clinical Psychologists and Assistant Psychologists who work in the NHS and privately with children, adults and families. We also work closely with other organisations in the area and have a number of associates across the UK that we can refer you on to depending on your location and needs. 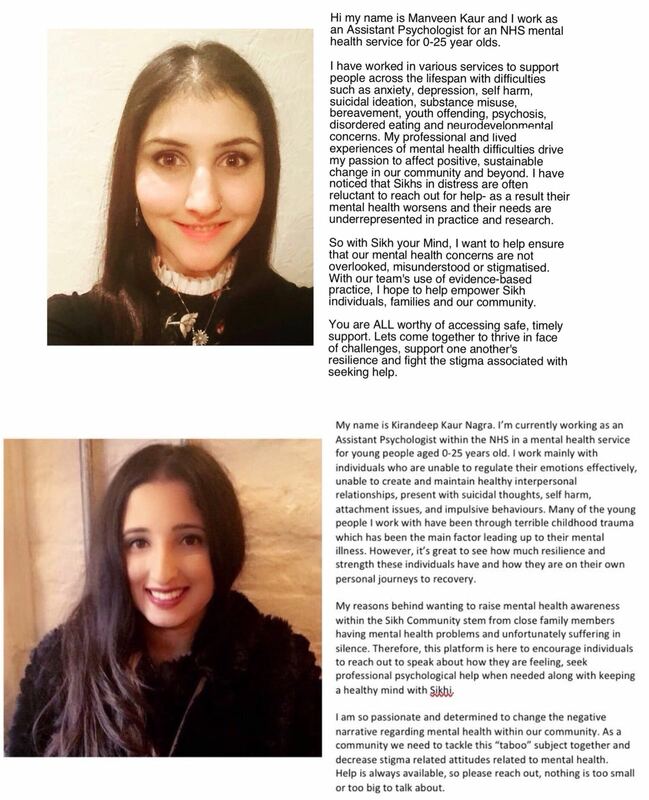 We would like to share information, guidance and other resources about mental health issues which may be affecting the British Punjabi Sikh communities. Our hopes are that we can empower these communities to detect and manage mental health more effectively. We are eager to work with other organisations to accomplish these aims. 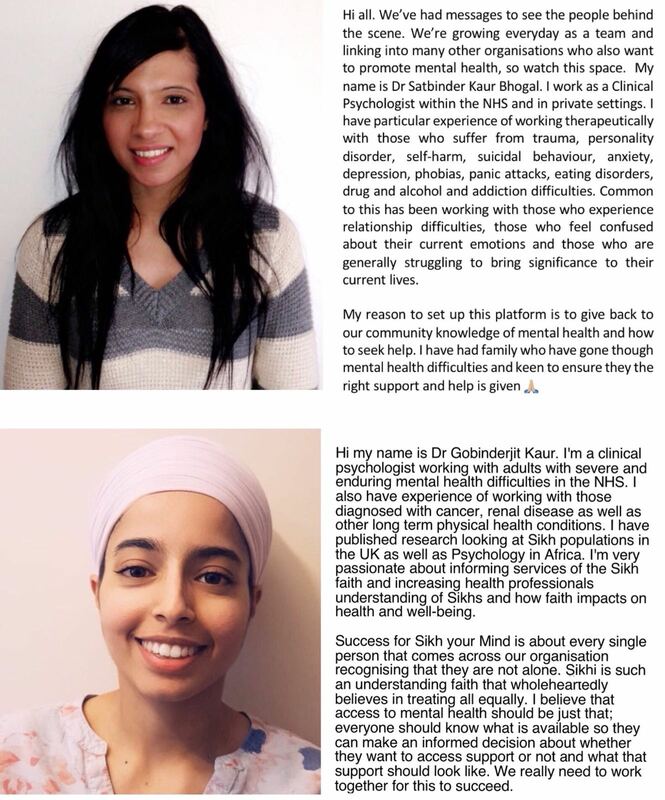 We are interested in sharing our research looking at the Sikh community’s understanding of mental health issues. Some of our research has been published in peer-reviewed journals, shared on BBC Radio and disseminated at various educational establishments.